NuTerra, LLC, an internet development company based in Green Bay, WI, has announced the launching of www.vipertackle.com through it’s e-commerce platform NuTerra StorEZ. 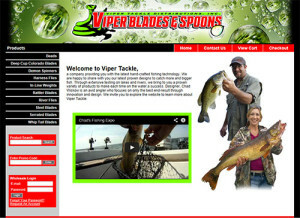 Viper Blades & Spoons is a provider of the latest in hand-crafted fishing technology. 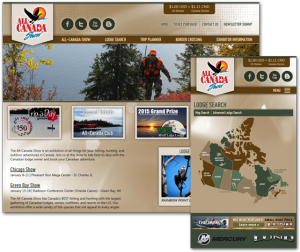 The new website is an online shopping resource, served through NuTerra StorEZ, offering spinners, harness flies, in-line weights, rattler blades, river flies and various blades for the serious fisherman. 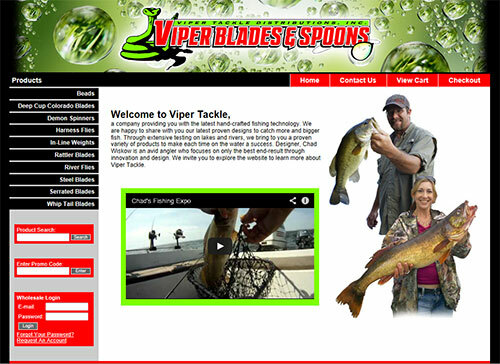 With proven designs to catch more and bigger fish, www.vipertackle.com is a destination for sportsman to find the best in fishing tackle.